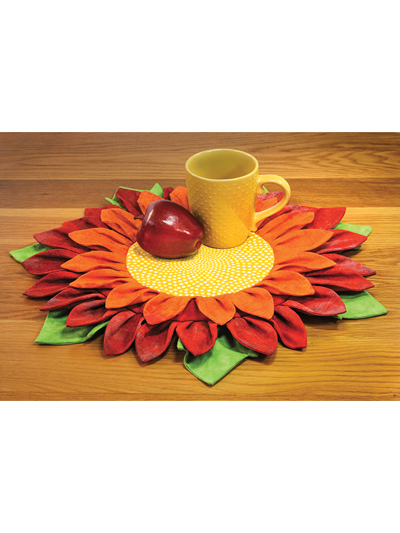 Create pot holders, mug rugs or several sizes of table mats from two circles and a simple petal shape! The easy construction requires no binding or quilting. Make several mats in different sizes and stack them for a whole different look! 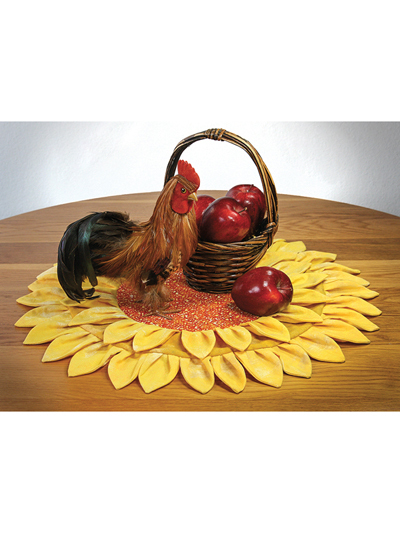 Mats vary in size between 3" circle and 6" circle. 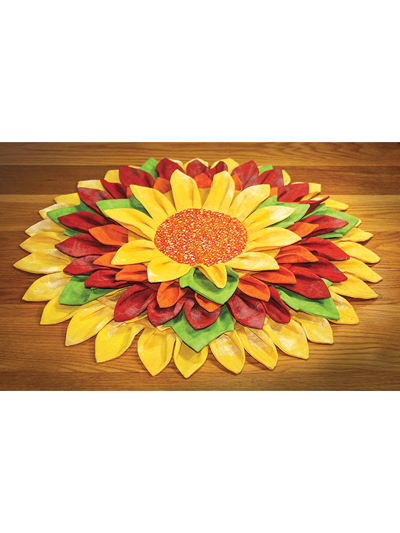 I really like the Sunflowers Table Topper pattern. It is so versatile in what you can do with it. I made one with a pumpkin face and then used Velcro to put it on a wooden embroidery hoop to hang on the wall or door. I made another one with patriotic fabric. I also put Velcro on the back and will be able to use it on the hoop. 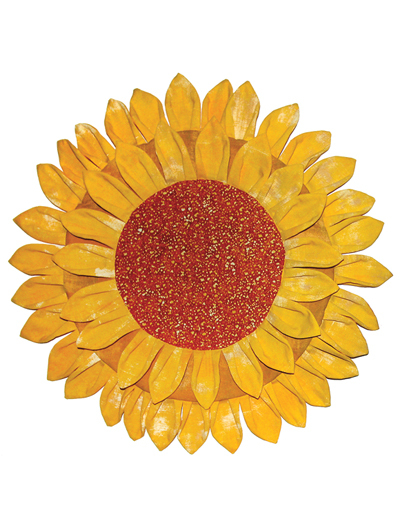 My goal is to make one "sunflower" for each season or month. 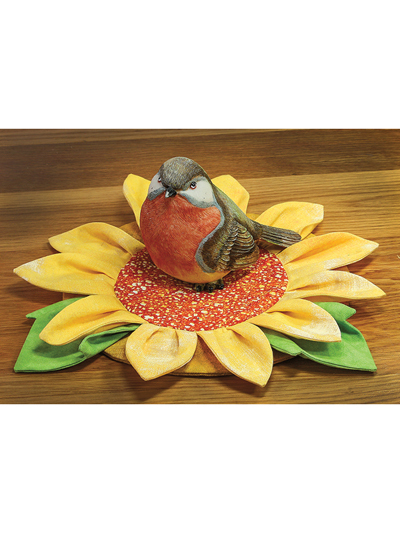 The time consuming part is making the petals, but it goes together quickly. I really like Annie's. 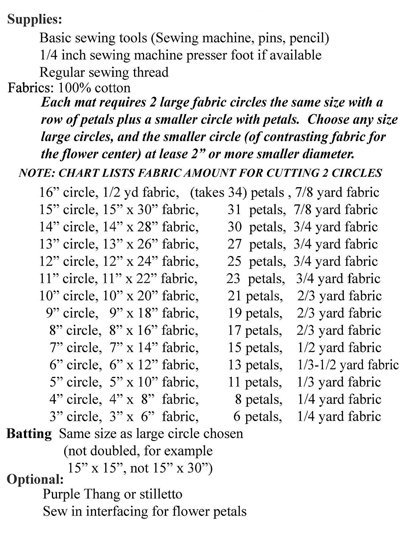 It's the only place I can find patterns I like. Keep up the good work!